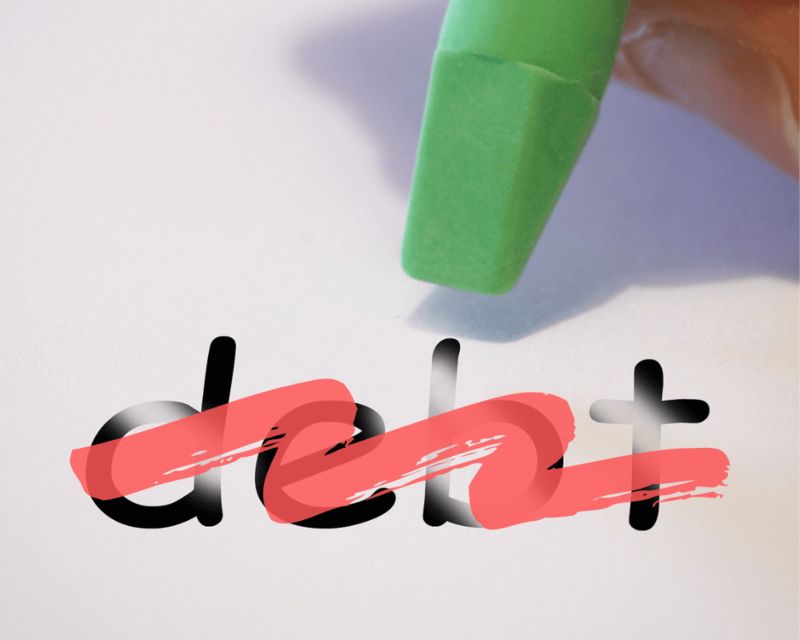 How to Get Rid of Debt - The 8 Step Process for Debt Destruction! How do I Get Rid of Debt? That is a question many of us are asking ourselves on a daily basis. Once we are in its clutches, can we escape? Debt is that pesky little nuisance that accomplishes its terror either by one large lump sum (think mortgage) or by ‘a thousand little cuts’ (think that daily coffee you buy 365 days per year). None of us want to incur debt, yet in utilizing credit for purchases, we naturally and necessarily take on debt. Without being able to utilize debt created by tapping the credit markets to obtain loans, very few of us would be able to afford a car, a house, or the lifestyle we truly want and deserve. It is true that credit makes the world go round. What makes debt so dangerous is that it is the quiet monster, lurking unseen and unheard in the shadows until, one day, you are trapped by its powerful grip. What once began as small, unassuming credit purchase can quickly become a large debt with high interest rates. And so the dreaded debt-cycle begins. How Does The Debt-Cycle Begin? Something like that tends to stick with you. The imagery is meant to be satire but it is very close to home for so many individuals. “Purchase now, pay later” seems to be the maxim of the day and it is easy to see why. Though I extol the benefits and virtue of credit cards if utilized correctly, being able to spend money with a simple swipe serves to disconnect the act of purchasing for so many individuals. Rather than seeing that purchase as ‘real money’, the credit card turns those bits and bytes into seemingly limitless monies to spend at a moment’s notice. The consequences of spending cash they do not have does not hit home for many until it is too late. It is no wonder why many individuals and families struggle with debt; it is so easy to come by. And once entangled in the monster’s grip, it is like a life and death struggle to free one’s self. Perhaps you are in this position, perhaps you are ‘in debt to your eyeballs.’ While the unburdening of one’s self is a challenging endeavor, take heart that it can be accomplished. Let’s look at the steps to get rid of debt. The first step to mastery of any situation is to gain as much knowledge about as quickly as possible. There are two forms of knowledge I’d like you to consider necessary for freedom from debt; Self Knowledge and Book Knowledge. How did I get into this situation? Was it because of high interest credit cards? An expensive car or home? Or something else altogether? Is my debt/equity ratio too high? Do my spending habits vastly outweigh my earnings? Can I control my debt spending? Or do I need help? You will want to ask yourself some very tough questions and find the answers to those questions. Leave nothing unexplored. Searching for the honest truth at this point is a pinnacle of someone ready to change their situation. Examine your own beliefs about spending and saving to discover new truth about yourself. By doing so, you are on the path towards debt freedom. In any journey that I choose to undertake, the starting point is always to accumulate knowledge in the particular area. Read as many books on conquering and overcoming that you can get your hands on. I find that by accumulating the book knowledge, I become an expert, my confidence increases, and therefore my execution increases as well. Your journey towards getting rid of debt will be no different. Arm yourself with triumphant stories, how-to books and blogs, and inspiring videos. The time outlay will pay sincere rewards in due course. I empathize with you and understand this type of thinking; life seems to come at us at a million miles per hour and it can be tough to find time to stop the oncoming duties. However, I would say break the study down in little pieces and adopt a brick-by-brick mentality. Rather than focus on reading a whole book at once, focus on reading one page before bed or in the morning. Or do your reading on lunch breaks and gradually increase that reading amount. Remember too that a lot of us have ‘dead time’ while driving or otherwise commuting to our jobs. Get in the habit of listening to some great books or podcasts on the way. Your increased knowledge in this area will lead to a direct correlation to getting your financial life back in control and becoming debt-free! The second, and perhaps most important step, is to sincerely believe that you can change your current situation. Without this change in internal belief systems, we are doomed to continue on in our current course of action. I am perplexed as to why belief patterns are commonly overlooked or misunderstood in the change process. While I am no expert, I do understand that more often than not, to change a situation will require a change in belief system. This is true, not only in regards to overcoming debt, but in any life modification you desire to undertake. I have seen individuals, who, though they know the positive changes they must make, continually sabotage themselves through poor decision making time and time again. One particular individual comes to mind. Though she was in massive debt, she always came to work each Monday with a new story of a debt-fueled binge drinking weekend or some new purchase that she could not afford. She was living from paycheck-to-paycheck, or more aptly put, credit card statement to credit card statement. Why was this the case? It is my intuition that she did not believe that she deserved any better. Deep down, perhaps even at the subconscious level, she believed that she was a debtor by nature and that any attempts to live otherwise are wasted efforts. She lived in the realm of conflicting beliefs, often referred to as cognitive dissonance, whereby any incongruities need to be cleared up by the individual. In the battle of beliefs, the most deeply held belief will win out. Even if she has the conscious thought of “I can become debt-free”, if her subconscious states “I am a debtor” and is the stronger belief, she will trend towards those actions to support this more vigorously held thought. Now, we all go through the same challenge in our lives, albeit different circumstances. This one constant holds true: we get what we believe. If we believe we deserve debt, we will get debt. If we believe we deserve massive income, we will get massive income. Therapy. I highly recommend to work with a therapist or other health professional if you are struggling with debt. Often times there are things going on under the surface which we are not even aware. Cognitive Behavioral Therapy is particularly helpful – it is a process where we challenge our belief systems on a daily basis. Accountability Partner. Find a good friend, partner, or family member to help you stay accountable. We all need a helping hand from time-to-time and if you can find someone who will be on your side, tell you the truth no matter how painful it is, you will want o keep that person in your corner. Debt Counseling. Make the call and see if these agencies can help. Often they will offer services to buy all of your high interest debt and offer you the option to make payments on one loan. This can be a good thing for some individuals. Affirmations and Motivational Videos. The key to changing a belief system is repetition. Fill your mind with affirmations and trust that good will come. Debtors Anonymous. Consider joining a support group such as Debtors Anonymous. There are other people out there who have struggled and the goal is to learn, grow, and improve together. Now that you have come to sincerely believe that you can change your financial picture for the better and get rid of your debt once and for all, it is now time to create the starting point for doing so. Our first goal in this vital step is to get a clear understanding of our finances. We want to lay out every single debt that we can think about as well as pertinent information about that debt. Set aside some time, brew up a cup of coffee, open up an Excel document, and get started. 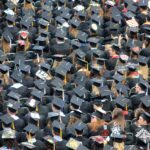 Once you have this information assembled, it is now time to start prioritizing how you will begin tackling the payment of the debt. We’ll call this our debt repayment plan. Caveat: This particular part of laying out your debts might be a little terrifying, especially if you are deep in debt. Take some deep breaths and go back to your belief that you can do this and acknowledge that you need to start somewhere. Adopt a ‘Brick-by-brick’ mentality towards debt elimination. If this process is truly truly intimidating and it is challenging to even begin, I encourage you to get some help. You do not have to do this alone. Call that counselor, attended a Debtors Anonymous meeting, talk to a best friend; do whatever you need to do to see the light at the end of the tunnel. We want to prioritize repaying the debts with the highest interest rates first. Most often, this will be debts such as credit cards where we are paying anywhere from 18% to 28% interest on our everyday purchases (assuming you are carrying a balance from month-to-month). Once we make headway on the egregious high-interest debts, we will then be able to move on to the lower-interest debts. If we do not pay down these high-interest debts first, we run the risk of being indebted in perpetuity. The element that makes these credit card so dangerous is the concept of compounding interest. The interest doesn’t just accrue on the original balance, rather it accrues on the credit card plus new interest charges. We often times discuss the snowball effect of gains when it comes to dividend investing; the same principle holds true when it comes to compounding interest on debt payments. Astounding isn’t it? This isn’t to scare you further, but rather to drive home the point that the high-interest credit cards need to be paid down first! Keep in mind that it could also make sense to take all of your high-interest credit card and roll them into one consolidate loan. Debt Consolidation companies can help you with this process if you have more than one loan outstanding. Often times, it makes sense to undertake a debt consolidation plan, especially if you have more than one higher interest debt that you are trying to pay down. A word of caution: thoroughly research any debt consolidation company you contact. Ideally it should be a non-profit corporation and have a good overall reputation. The last thing that we want to have happen is to set a an overly aggressive repayment plan and then not be able to stick with it. Nothing would derail or discourage us further! If getting embroiled in debt is truly a struggle for you, it is time to get rid of the mechanisms that are causing this completely. You must now destroy the monster once and for all. By using cash and cash only for as many purchases as you possibly can. This important progression will re-calibrate the mind to see the actual cash outlay for the everyday goods and services that you purchase. Rather than have arbitrary and seemingly meaningless numbers flying out in cyberspace via swiping a credit card, using your hard-earned, physical capital will bring you back to the reality of the purchase you are making. In unison with spending this cold hard cash, you will want to get rid of every credit card and debit card that you possibly can. You are beginning the important step of rewiring your brain to seeing that every time you purchase an item it is actually your hard earned dollars going to work. Now, you will not be able to use cash for all of your purchases. For things like mortgage, car payments, etc., you will still need to use an electronic method, such as a direct debit from a checking account. This is OK.
By eliminating the temptation to use the easy payment method of credit card for many of our everyday purchases, we are still well on our way to creating the type of debt free lifestyle that we wish to attain through elimination of unnecessary debts. Let’s get into our next progress area: scaling back our expenses. Remember the golden rule of achieving Financial Freedom: Spend Less than we Earn. Now it’s the time to put this into massive practice. It is now a good time to recognize those areas in your lifestyle which far outstrip the money coming in. You must now begin the drastic and challenging step of scaling back. Out of all the steps, this might be the most challenging and ever that you will face. Why is this? Simply because once we reach a certain style of living, we tend to get used to being at that level. Perhaps you are used to having that $5 cup of coffee every morning. Well, if you are working on getting out of debt, that is going to be something that you will need to scale back and maybe give up entirely for a period of time. Or how about that fancy gym membership down the road? What if you could simply use your apartment complexes gym or a less-affluent exercise facility and use those extra savings to whittle down at your debt. To ask someone to step back from stopping their morning $5 cup of coffee or $100 gym membership is a big ask especially from an emotional perspective. A person gets used to having these in their life; these things, in fact, become part of the person. But to free yourself from the clutches of debt, you must dig deep and persevere. However, our goal here is to identify those items that we can scale back – these are the so-called discretionary expenses in our lives. What are discretionary expenses? Those are expenses that we choose to spend money on but that we do not need to spend money on. In the previous paragraphs that was the morning cup of coffee. This could also be the Netflix subscription, a gym membership, or high payments on a luxury vehicle. The goal here is not a life of being a miser, rather it is to find areas where if we scale back, you will not see a large impact, if any impact at all, in your daily life. I talk more about creating categories for expenses in my book, Simple Budgeting. Wherever you decide to scale back, stand proud because with each step forward, you are getting closer and closer to debt-freedom. If you’re currently at this place in your life, give yourself a big congratulations as it is a big step in your journey to getting rid of debt. Now you are ready for the next step: increasing your income. This stage of the process could actually be higher on these list of steps, as earning more money can be a much easier path to undertake for many, especially in our present-day “gig economy”. So naturally if they cannot afford their current expenditures, their mind gravitates towards earning more. While the desire to improve one’s circumstance is great and admirable thing, the need to trim the fat (i.e. eliminating excess discretionary expenses) needs to be a higher priority to earning more money, at least in the beginning. Thus, we discussed how to get our debt under control before earning more cash. The goal now is to capitalize on the gig economy, in which freelance work is readily available. Oftentimes, it can be challenging to know where to start advertising for our particular skill set. A few great websites are Upwork, Hubstaff, and Craigslist. Post a few ads, target your particular hourly income mark, and see what happens! The underlying message is this; you have skills and your goal now is to advertise those skills to the world and make money by providing them. I have personally been working to grow my own Active and Passive income sources and while it has been challenging to do so, it has been well worth the effort. More defined services such as Lyft, Uber, Rover, and AirBnb, make it easy for any individual to connect with someone looking for a particular service. Even if you are working those 40, 50, 60 hour weeks, you can still add some more earning potential into your life, if you so desire. Make sure to adopt the “Brick-by-Brick” mentality to learning and growing your income. Start off with the goal of making $5 extra dollars per day (something so small you can’t miss the target) and work your way up from there. By hitting the target day after day, your motivation will increase, and you will continue the upward momentum! Caveat: I would also encourage anyone on this path to take a an honest inventory of their life. If you are already working a full-time job which takes 40 to 50 hours a week and you have a family which requires 30 to 40 hours of your time, you will quickly burn out if you try to add on another part-time job which takes 20 to 30 hours a week. Be realistic in what you can do and how you can do it! I know for me personally, I have worked 80+ hour weeks in the past, and while I have been able to function at a high level, it is usually for a short period of time. Know and respect your personal limits. Combine earning more with scaling back to get out of debt quicker. Last but not least, the final step is doing the thing and begin chiseling down your debt, one day at time. Your goal here is to take the debt repayment plan and put it into radical action. This step will be the hard part for many people, as it requires daily discipline exercised over a long time. It requires a massive amount of resolve and tenacity to accomplish. But what you can do here to help yourself stay focused is to create some sort of metric upon which you are gauging progress. You can also create repayment milestones which to celebrate as well. Once you see yourself hitting certain levels of achievements, your motivation will continue to stay high. By tracking the progress in your chiseling down of overall debt in your life, you set yourself up for a future free from the grips of the monster. Another potential option to pursue is to have a firm and open discussion with your creditors about your current financial position. If you are struggling financially, sometimes the might be willing to work with you in the journey to repay back your debt. Occasionally, they can offer to write off a balance or a portion of a balance, create a payment plan at a lower interest, or freeze interest payments. Keep in mind that the creditor has the incentive to have the original balance paid in full – the interest is just the cherry on top. If they feel that you may default if pushed to make full payments with interest, the creditor may be more willing to work with you on a realistic plan to pay down the balance due. Not all creditors will be willing to negotiate and that is ok; I offer the axiom that a “nothing gained, nothing lost” attitude when it comes to handling this situation. The worst case scenario is that you are out 15 to 20 minutes of your time and an uncomfortable phone call. Last but not least, and I only include this as a last resort, bankruptcy is an option. If you find that your creditors are simply not willing to work with you on the repayment of your debts, there might be time to consult a qualified attorney and discuss options for bankruptcy. Think of filing for bankruptcy as ‘hitting the reset’ button on your financial situation. Though the initial filing fees will be somewhat expensive, the savings that you can net in the end are quite significant. However, I want to reiterate that this is the last step and you should always consult a qualified attorney before making this or any radical financial decision, but it is definitely an option if you are struggling to pay down your debt. You CAN become debt-free. It will take resolve and determination, but rest assured it is possible. Follow the steps listed above and you will see a future free from the grips of debt!